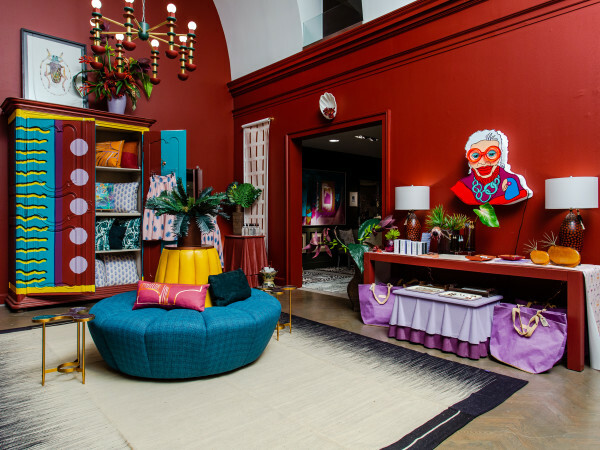 We asked around at our favorite Dallas showrooms in a quest to find the up-and-coming talent on the local interior design scene. These three — one brings her experience working in London to Dallas, another has a genius one-third rule and the last has taken over a venerable Dallas design firm — are the ones to watch. And, of course, hire for your next project. CultureMap: You went to school and worked in London. How did that shape your design aesthetic? Amy Berry: I’ve always been drawn to color, but living in London made me understand how light transforms it. The light in London is quite different than the light in Dallas. CM: What can we expect from you this year? AB: We recently launched a new website, which has a retail component, selling pillows and dog beds. Another little English touch. CM: How is the English design system different from the one here? AB: Most design stores in London are on the street and open to the public. I also think Dallas is one of the best places right now for design. CM: What are your three favorite places to shop? Do you utilize any of our local craftsmen? AB: Mecox for blue and white, Quadrille for fabrics, and Stark for rugs. About this room: “I love smaller spaces like this office, because everything has to be thoughtfully and intentionally designed,” Berry says. “The couch was carefully selected to fit the small space, and the shelving was built to frame it. CultureMap: You’re a little under the radar. How are you attracting new business? Traci White: We have the best clients. Every new project has come from someone walking into one of the homes we have completed, and then calling us and ultimately hiring us. TW: Besides several new construction projects, we are teaming up with a great manufacturer to reproduce custom headboards at an affordable price. CM: What is a common element of your design projects? TW: We try to keep to a 1/3 rule: 1/3 family heirlooms and antiques, 1/3 neutral basics of your favorite styles, and 1/3 a little pop of surprise. CM: You’re a recent transplant from Houston. How is the Dallas Design District different? TW: Working in Dallas is much easier — all of the resources are within a mile of our office, and we have the World Trade Center. TW: For antiques, we love Nick Brock. 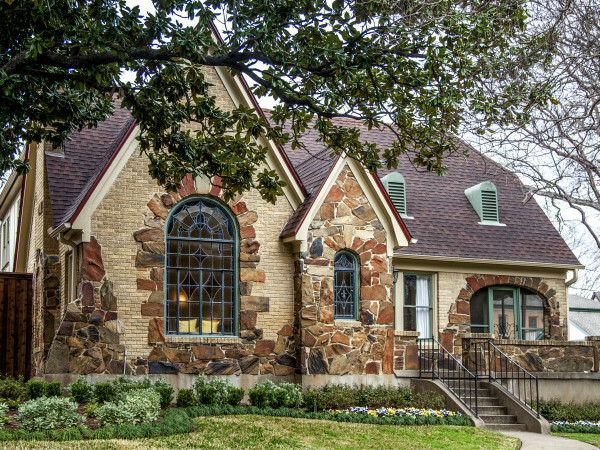 Our favorite showrooms are David Sutherland, George Cameron Nash and Culp Associates. We have amazing reps that we love working with daily. About this room: “I have always said a client who has a favorite grandmother, who leaves them with fabulous hand-me downs, is the best kind of client,” White says. “Well, little did I realize that a client who is also an artist, and has fabulous inherited antiques, would be even better. 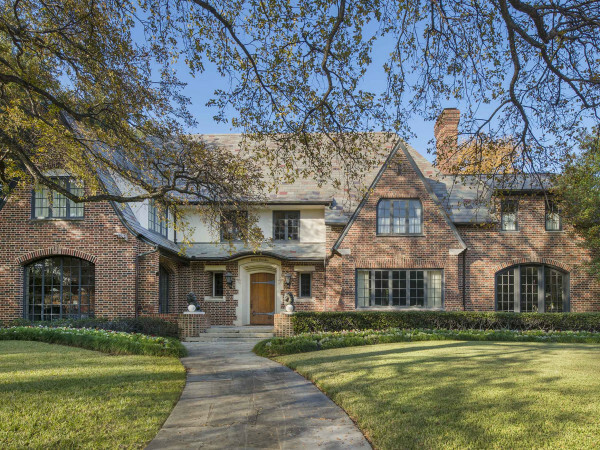 CultureMap: You and Dawn Bergan recently took over the business of David Corley, one Dallas’ great designers. How has that been? Julie Stryker: We’ve never been so scared and excited at the same time. Transitioning from employee to boss is a mental challenge. CM: When you started at David Corley 17 years ago, what was the style? JS: Lots of Country French with blue and yellow or terracotta. When I see those houses now, I realize how David had a way of making interiors timeless! CM: What exciting things can we expect of you this year? JS: There’s a great house in Fort Worth with a lot of purple! And a ranch in West Texas, a log home in Aspen and a Turtle Creek penthouse. CM: What are constants in your design schemes? JS: We love the Cameron Collection library lounge chair and the Christian Liaigre club chair — both pieces can fit any style of room. CM: How has the Design District changed? JS: It’s a lot friendlier neighborhood now with people out walking dogs and places for coffee. Some people are worried about it staying the same; I think it’s all for the good. Someday the world’s great designers will come to Dallas to shop. About this room: “No one else here at CDA likes this picture very much,” Stryker says, laughing. “But I love it! I love the big abstract painting over the antique furniture. I love the mix. I love the color. I can’t imagine living without color. I love the print on the walls.